OK, that’s not true. I do want to eat healthy, but it’s too easy to be lazy. So, in an effort to not be lazy, I’ve decided to track my food. It’s not a diet. I just want to be more aware. I’m still eating whatever the hell I want. If I deny myself everything I crave, it just spirals out of control. 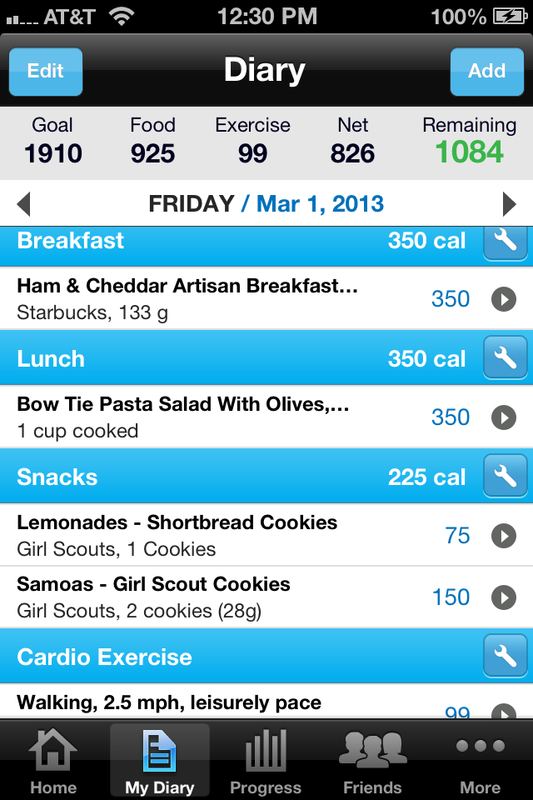 It’s about awareness, so I downloaded the My Fitness Pal application for my iPhone. It’s kind of awesome. The best part is the bar code scanner. You can scan that box of Wheaties and it will look up the food for you. All you have to do is determine the amount of servings you ate. It seems to have a lot of foods from restaurants already uploaded, which is nice, because I’m lazy. I don’t want to have to estimate if I don’t have to. 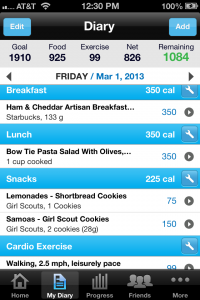 It also lets you input food if you know the calories, fat, etc. Plus, it tracks your exercise, so it will net out your calories. It really helps me be more aware of what I’m eating. Do I really want that cookie? Not really. I’m just anxious or bored. Wait five minutes and I don’t care anymore. Plus, now I have a pretty good idea of how crappy or how well I’m eating. All I know is that I’ve lost a few pounds in the past two weeks. I know because my belt needs to be tighter to keep my pants up. I’m not on a diet. I’m just being more aware. I’m on MFP too! Some of the peeps there are whack. Find me if you want!